Neustar's Chief Privacy Officer Becky Burr.Neustar, Inc. (NYSE: NSR) today announced that J. Beckwith ("Becky") Burr will join the company as its Chief Privacy Officer and Deputy General Counsel. As Neustar's Chief Privacy Officer, Ms. Burr will be responsible for ensuring that the company maintains state-of-the-art privacy practices that always protect customer and consumer information. She will work closely with Jonathan Coombes, Neustar's Chief Information Security Officer, and will report directly to Scott Blake Harris, Neustar's Senior Vice President and General Counsel. Her appointment is effective June 1st. "Becky's industry savvy, combined with her vast experience in data-technology protection and privacy, will help us to ensure that privacy by design, consumer choice and transparency continue to be the cornerstones of everything we do," said Lisa Hook, president and CEO, Neustar. "Formalizing the role of Chief Privacy Officer is a further sign of Neustar's commitment to be at the vanguard of privacy protection. Hiring Becky Burr demonstrates how seriously we take these issues." "There is nothing more important to Neustar than protecting customer data and consumer privacy. It is the base on which our entire business is built," said Scott Blake Harris. "As we expand our business providing real-time information and analysis to companies around the globe, it is critical that we bring on board a well-respected leader in the privacy community who truly understands both technology and policy, and Becky certainly does," Mr. Harris added. Ms. Burr is currently a partner at Wilmer Hale, practicing in the Communications, Privacy and Internet Law Practice Group. She also is a veteran of the Federal Trade Commission (FTC) and the Commerce Department's National Telecommunications and Information Administration. At the FTC, Ms. Burr was responsible for competition and consumer protection policy in connection with information industry/electronic information infrastructure. She participated in developing the FTC's approach to competition, consumer protection, and privacy/data protection in the digital marketplace. Ms. Burr also was a founding member of the board of directors of the International Association of Privacy Professionals, and is a Certified Information Privacy Professional. She was recognized as a nationwide leader in the Privacy and Data Security field in the 2007, 2008, 2009, 2010, 2011 and 2012 editions of Chambers of USA: America's Leading Lawyers in Business. In addition to her expertise in the privacy area, Ms. Burr is an internationally recognized expert on Internet governance issues. She has served as a member of ICANN's Government Advisory Committee, country-code Names Supporting Organization Council, and legal counsel to domain name registries, registrars, and business stakeholders. 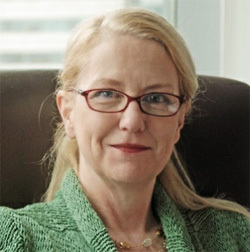 Ms. Burr also will play an important role for Neustar on Internet governance, ICANN and domain name registry issues. Local Time: Thursday, April 18, 2019 07:28 PM PDT – Page Load: 0.4250 Sec.